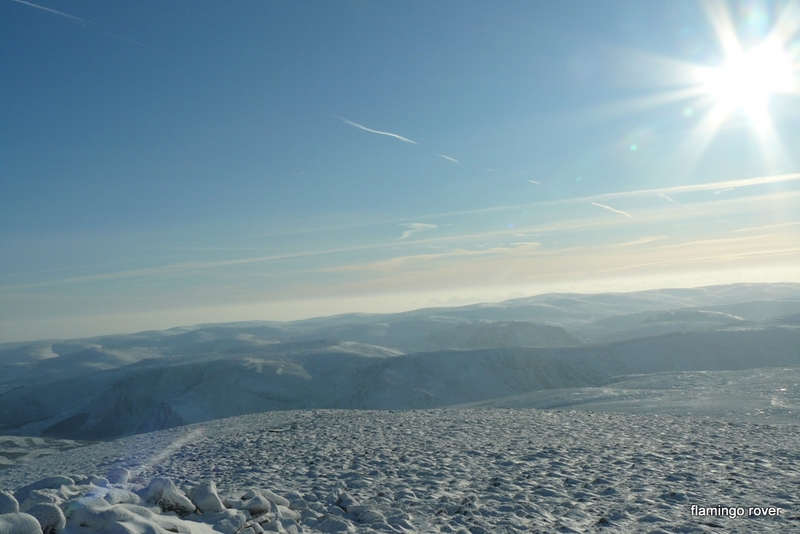 Before this post gets into full swing I thought I should explain what a Munro is. It is a word I used in my New Year List blog without any sort of definition, so in case I have fallen into a weird cult without noticing and not everyone knows what I am talking about: Munro is the name for the highest of Scotland’s mountains, of which there are currently 283, and they are named after the man who first catalogued them, Sir Hugh Munro. 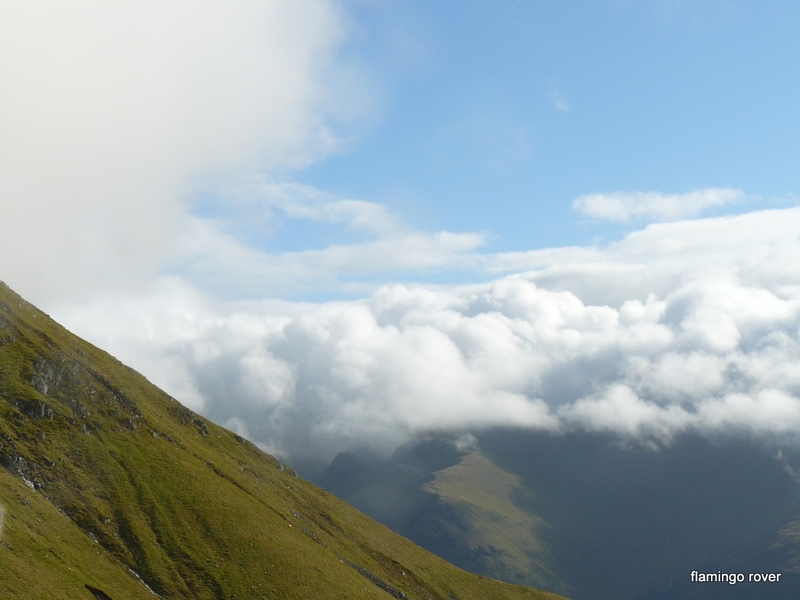 The Munros are apparently among the finest mountains in Scotland, I wouldn’t know because until recently my experience of climbing Munros could be summed up as all about bogs, rain, snow, false summits, runny noses, wet everything and spectacular scenery hidden by fog. 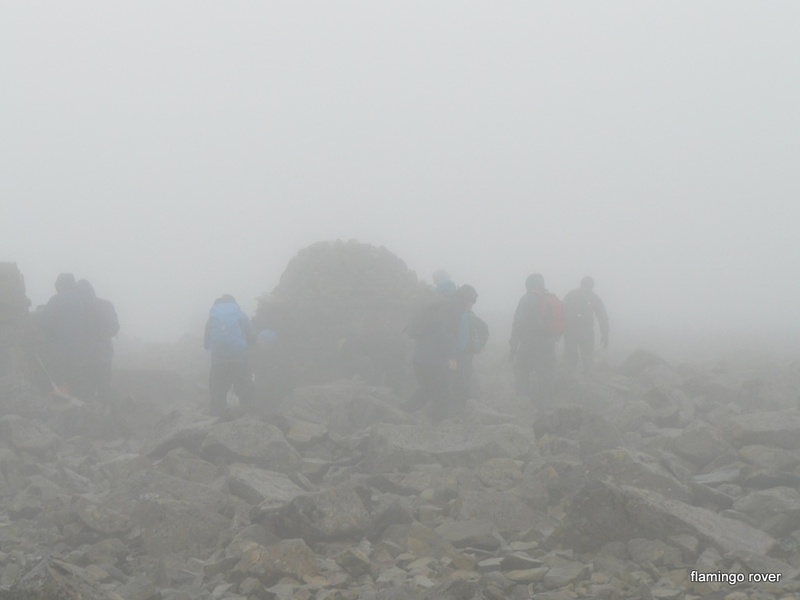 It is not quite as bad as it sounds, summiting Ben Nevis completely engulfed in cloud made us all feel like proper adventurers and the moment during our decent when we popped out of the cloud and into brilliant sunshine was amazing. That was a September Munroe, by December the adventure quota had amped up a little. 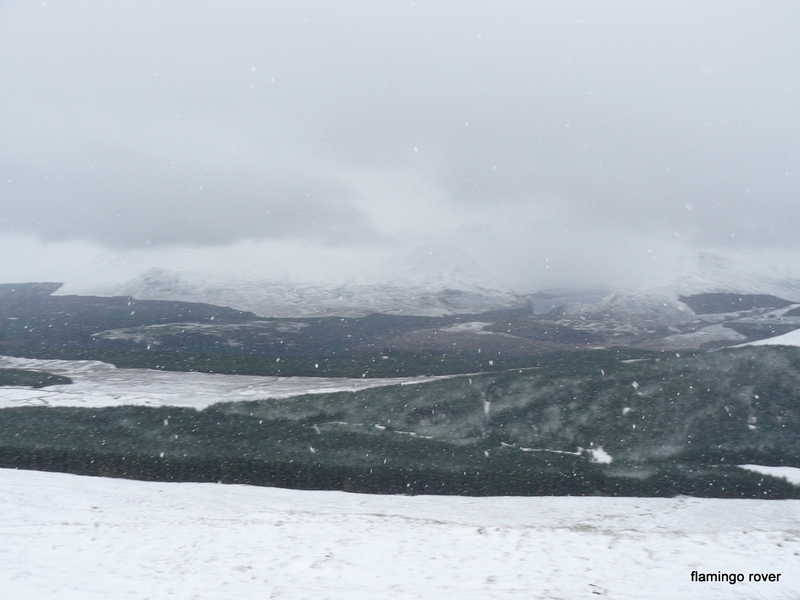 Garich did not have sunshine, it started in rain and bogs, rose to snowy cliffs and culminated in a total white out. 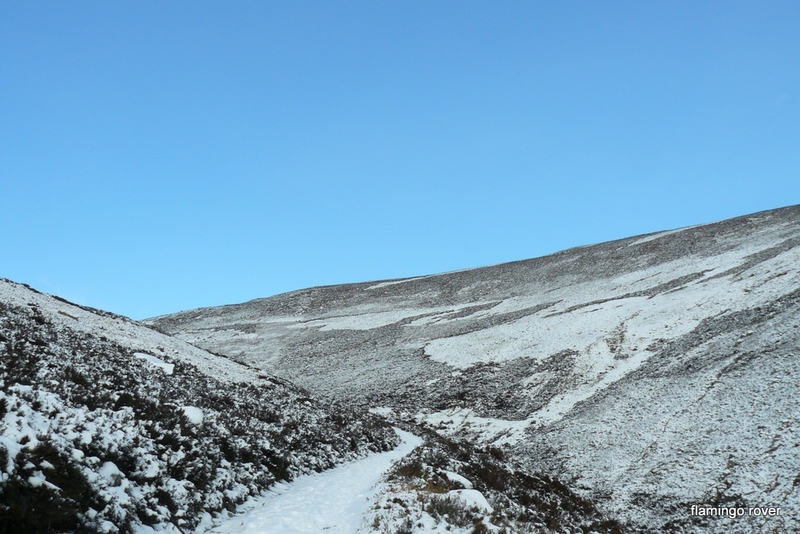 It was absolutely exhilarating, with occasional amazing views- if I had not been so busy concentrating on learning how to use an ice axe I might have stopped to take some pictures. 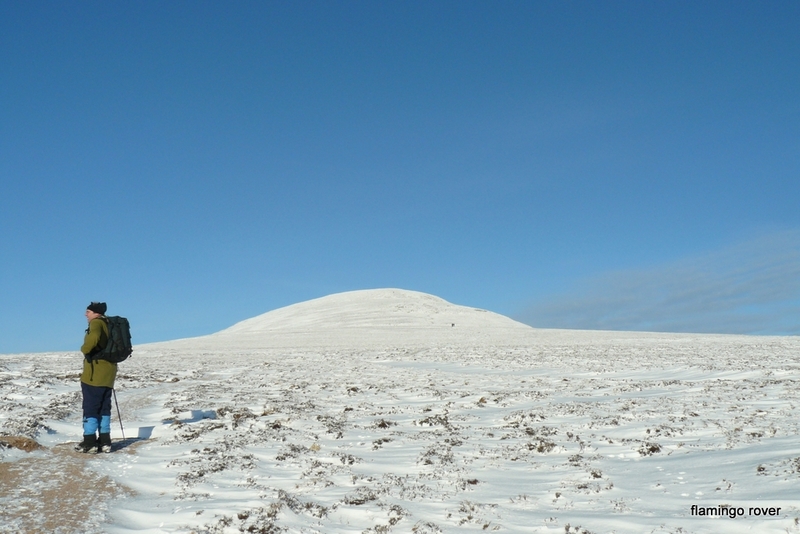 We made it up to what was in all probability the summit, saw absolutely nothing but white and turned around again. I do sometimes ponder the determination to reach the highest point, but getting up up up on that day did have a good side. Because getting down steep snowy cliffs is a little quicker than going up- you get to slide down- using your ice axe to maintain a ‘controlled’ slide. Unfortunately after a few fun slides there is still the inevitable bog slog. We finally made it back to the vehicles just on dusk and I went home for a bath and a whisky. Somehow the day after this adventure I found myself on a not so romantic daytrip with J, as we set out to climb Ben Tealluch. It was another snowy bog day and with pretty much every step our feet went through the snow, down into bog and then had to be yanked out again for the next step. We were continually hoping that the snow would be firm enough to hold our weight- and continually being disappointed. 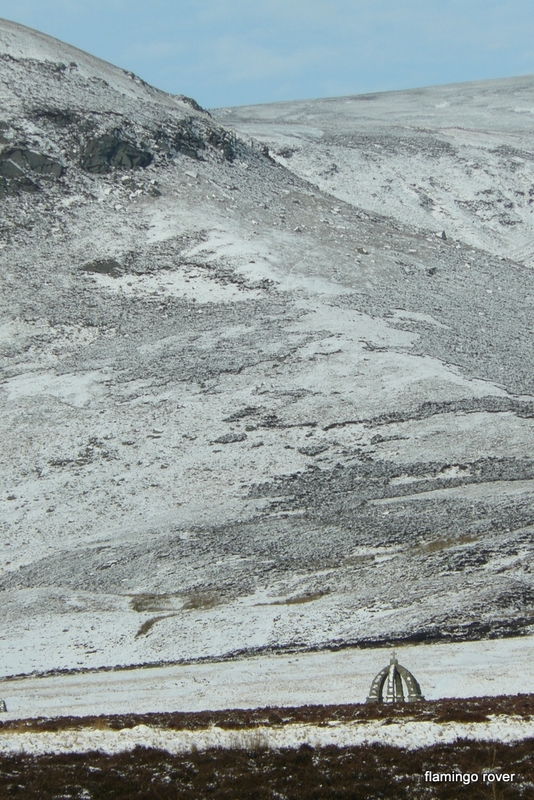 Snowy terrain can look pristine- but once some Munro baggers have tramped through things look pretty ugly. 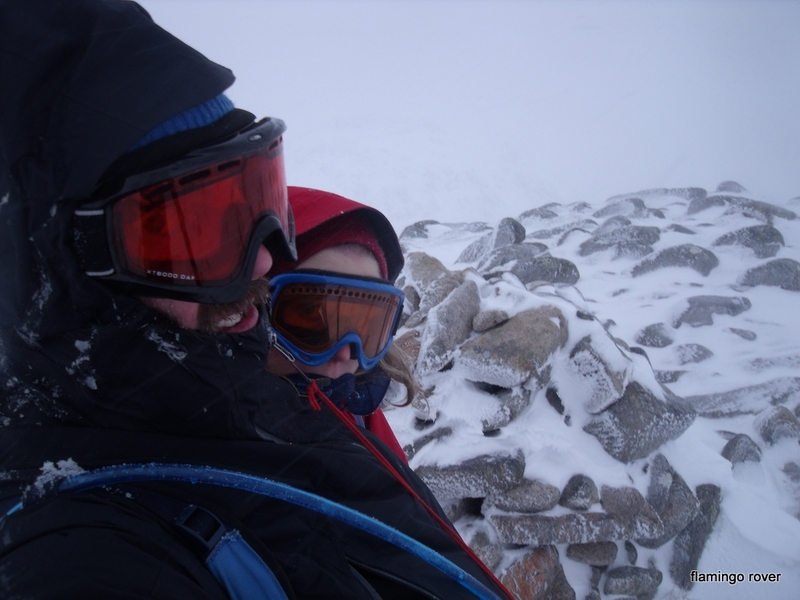 As soon as we started our accent my fatigue from the previous day’s efforts set in and the going got properly tough. Did I mention Munros are all false summits, snow, bog and runny noses and eating your lunch in three gulps so you don’t get hypothermia. 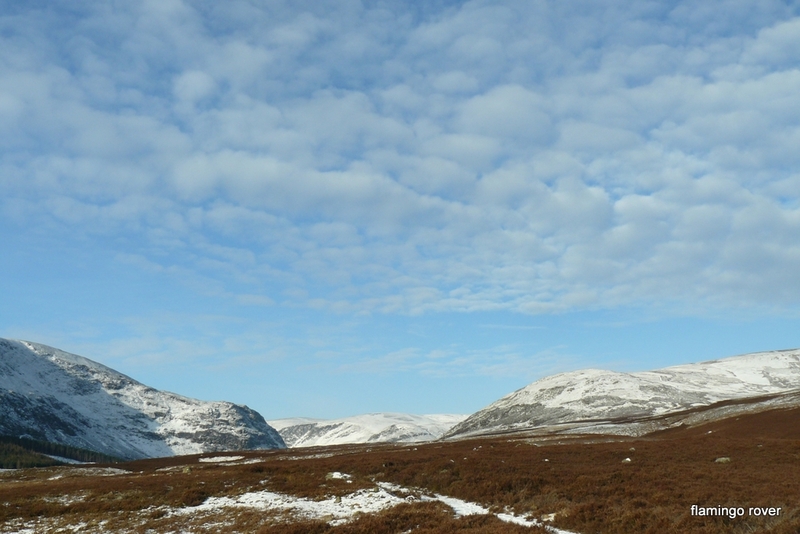 We had a crisp sunny day, the snow underfoot was covering not bog but a nice firm country road and as we ambled along I had to wonder why we only came across a handful of other walkers- because it was just about the most beautiful walk you can imagine. So if you were not lucky enough to be out adding Mount Keen to your spreadsheet of Munros bagged here are some pictures of what you missed. 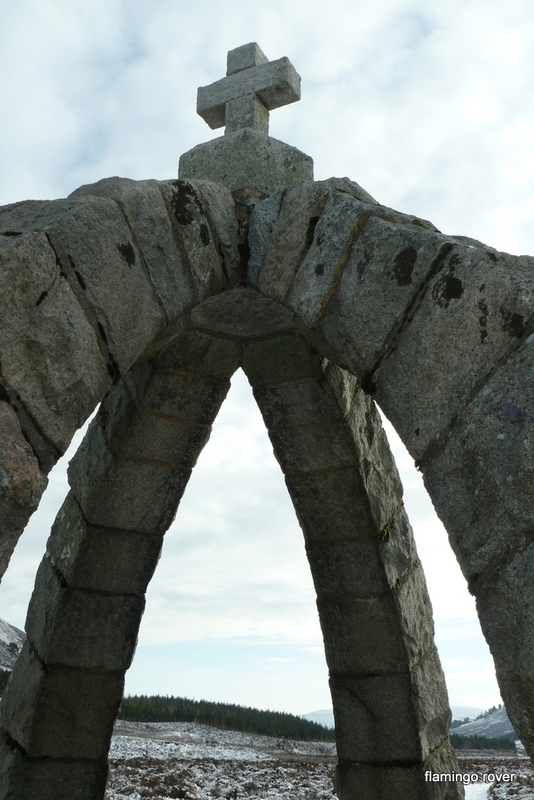 Queen Victoria once stopped to drink from this fountain, hence the monument being built for her in the middle of a valley no place in particular. A pretty nice no place if you ask me. Just after we passed this spot we got a fly over by two fighter jets- the sound reverberated around the valley- if we had not already known we were alive we did then. There was hardly a cloud in the sky all day and we made it down to the car in time to check out a nearby castle. I knew there was something I liked about Munro bagging other than getting to eat a guilt free pub meal at the end of the day. 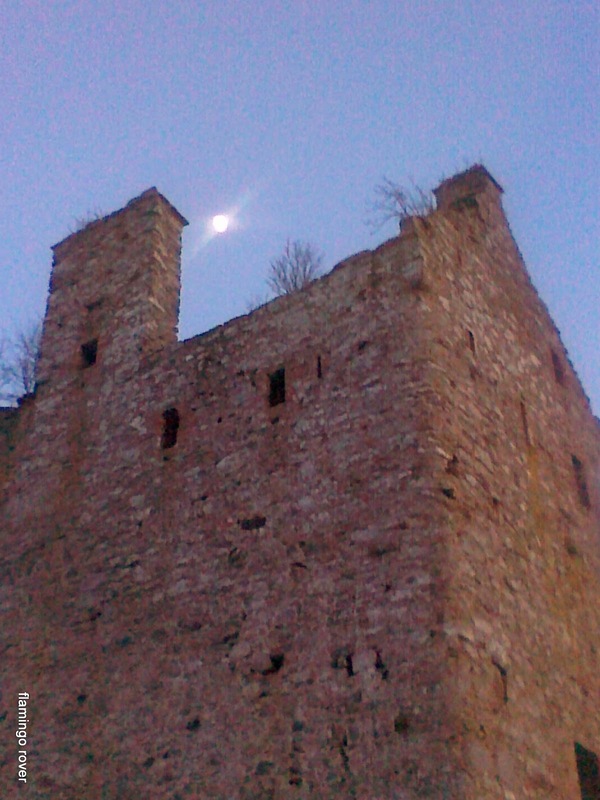 a moonlit stroll to a castle at the end of the day- romantic!